Traditional methods for reforestation use seeds from local tree populations. With the climate quickly changing, these local trees will be poorly adapted to new environments that not only have warmer temperatures, but also more disease pressures. And climate change isn’t just bad for trees. It’s also bad for the economic and environmental benefits they provide to Canada – benefits like wood, jobs, habitat protection and carbon sequestration. 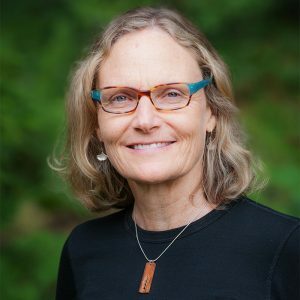 Foresters have three options for dealing with this problem: reforest with the same species, but with trees that are better adapted to warmer climates; move species further north or to higher elevations; or select and breed trees that can better withstand climatic stresses or disease. All of these strategies can be successful, but only if we have scientific knowledge about which trees can better withstand a changing climate and the stresses that accompany it. Dr. Sally Aitken of the University of British Columbia (UBC) is leading a team, including Sam Yeaman of the University of Calgary and Richard Hamelin of UBC and Université Laval, that will use genomics to test the ability of trees from different populations to resist heat, cold, drought and disease, and identify the genes and genetic variation involved in climate adaptation. The ultimate goal of the project, valued at $5.8 million, is to develop better reforestation strategies for economically important tree species such as Douglas-fir and lodgepole pine, as well as western larch and jack pine. Learn more on the Genome BC website.